When we received an email from Florance Arnold, Fashion Stylist at British Vogue, requesting a call-in of a few pieces for a “Cover Story Shoot” that weekend (the next day!!) for the October 2018 issue, with a “very exciting family”, we literally scrambled!! By the afternoon, a large box containing 250 Moto Jerseys and Moto Pants were being couriered to Vogue House in Central London. It was for British Vogue after all, we repeat BRITISH VOGUE!! We’ve had many call-ins over the years from various fashion magazines and blogs but BV is definitely the most coveted. Many years ago, Adam had a luxury women’s leather glove brand called Polly Vegas. They featured in various publications like Sunday Times Style, Wallpaper, Marie Claire and, although Vogue borrowed them a couple of times, they never quite made the cut. But this time we nailed it! 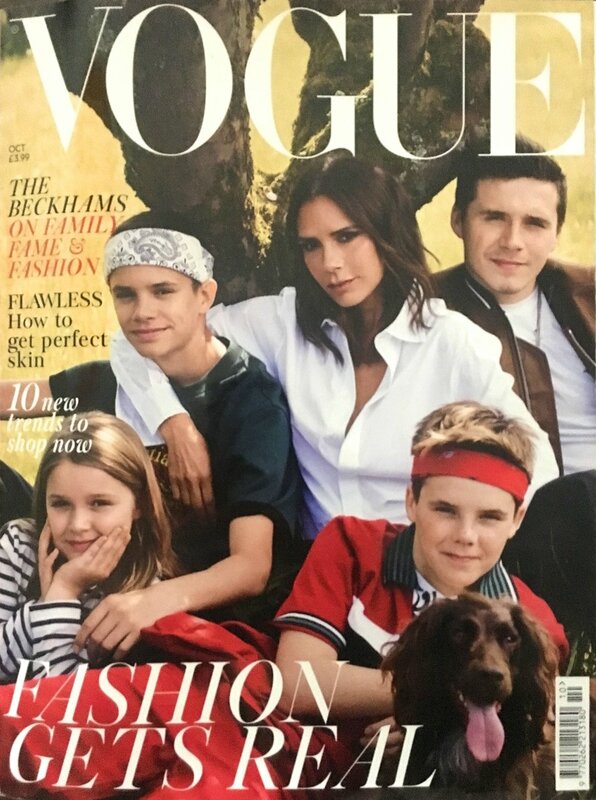 We had a inkling that the story was to feature the Beckhams but, until the issue came out, we didn’t know for sure. We’re delighted that Romeo Beckham was the model and even happier to be the only young, independent British brand featured in the spread. Furthermore, it proves that our brand is steeped in style and this isn’t going unnoticed. Thank you British Vogue!